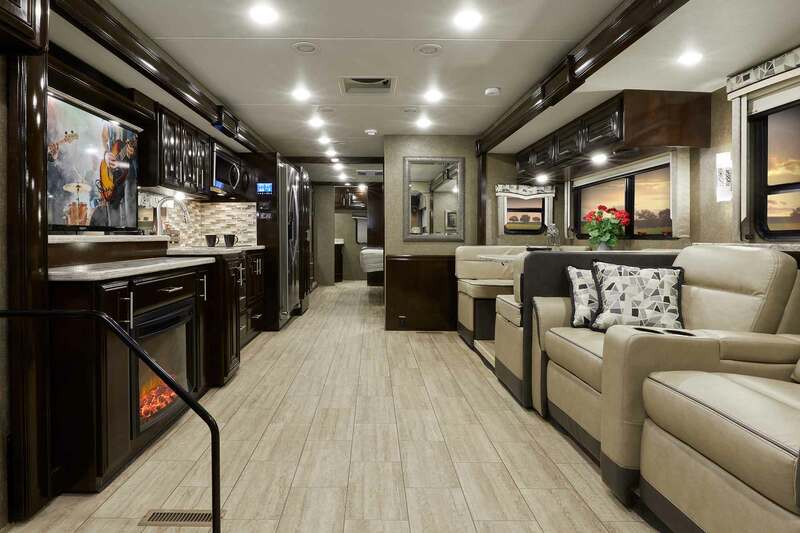 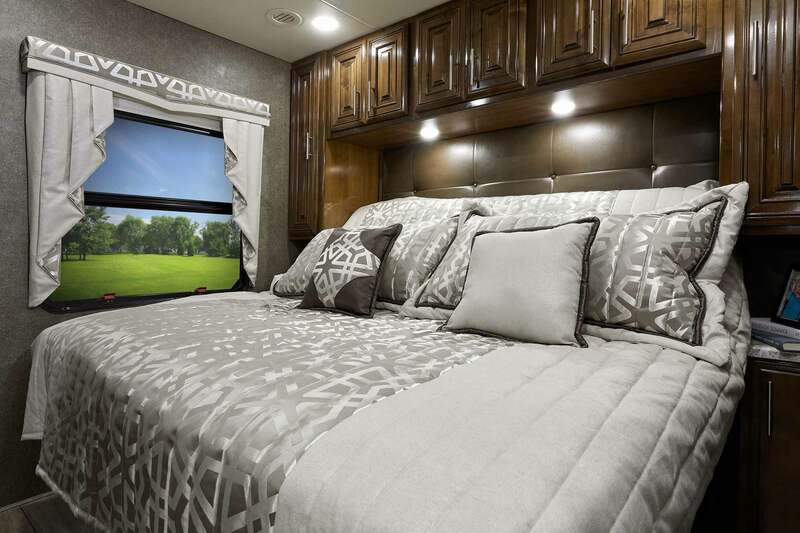 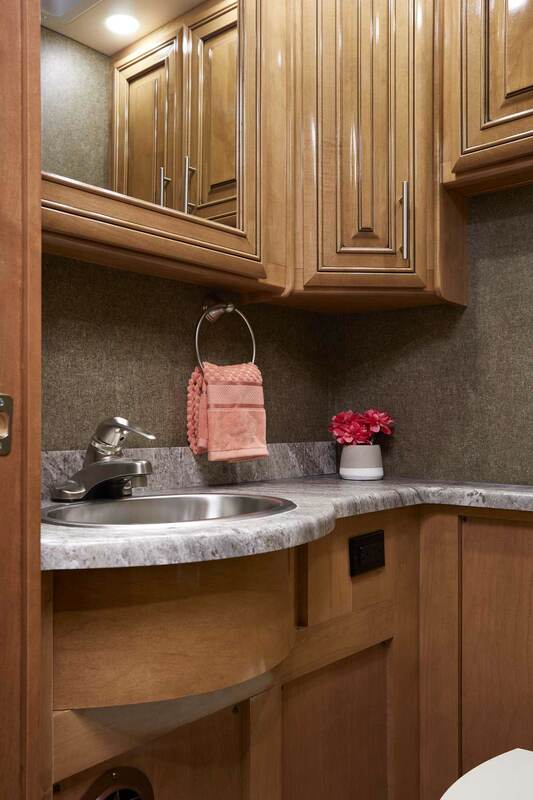 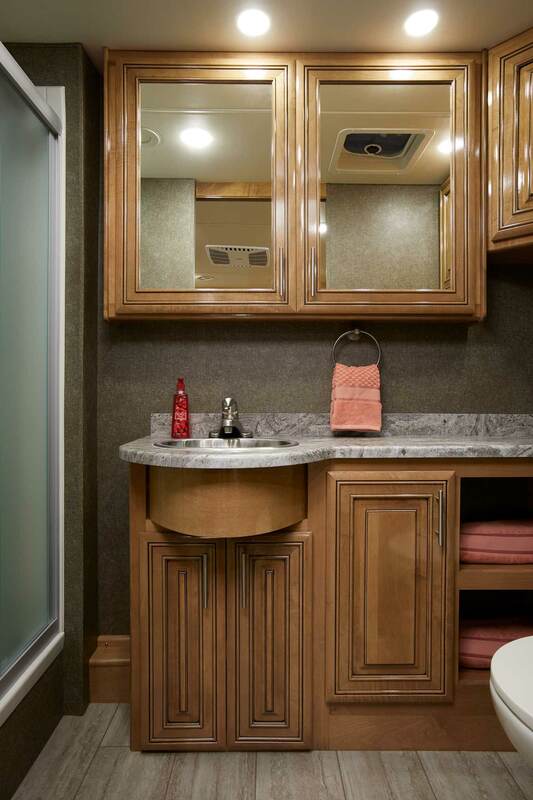 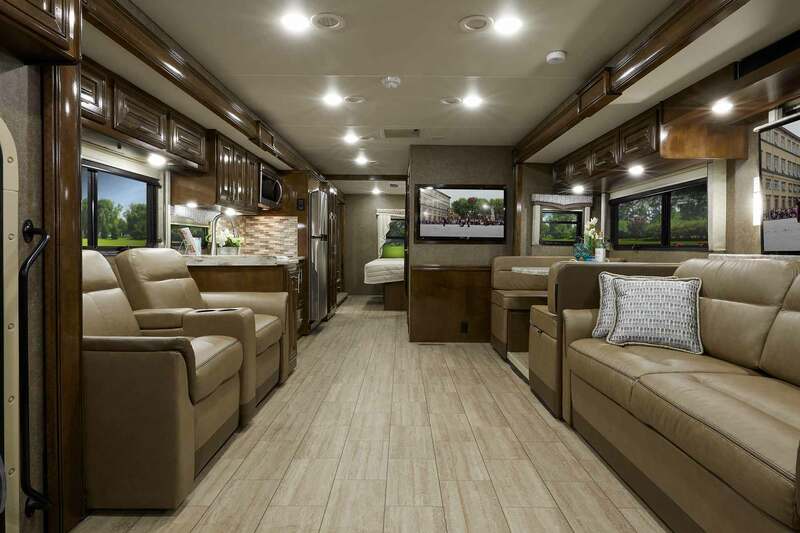 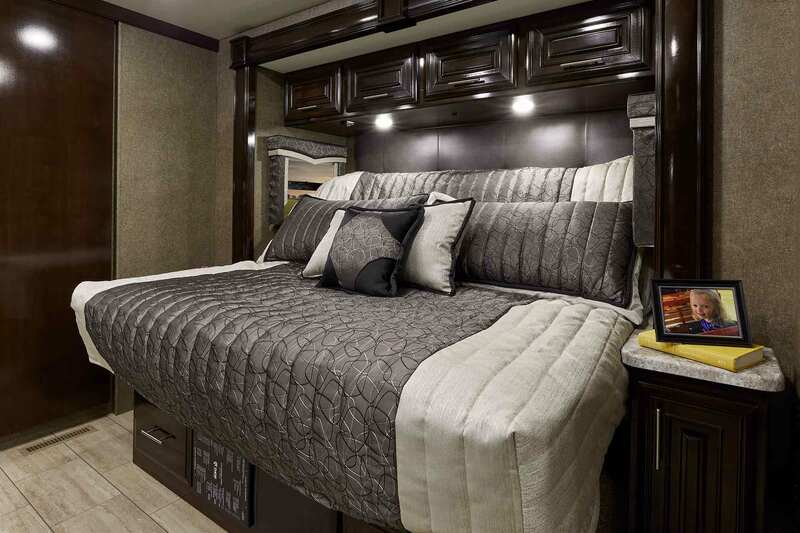 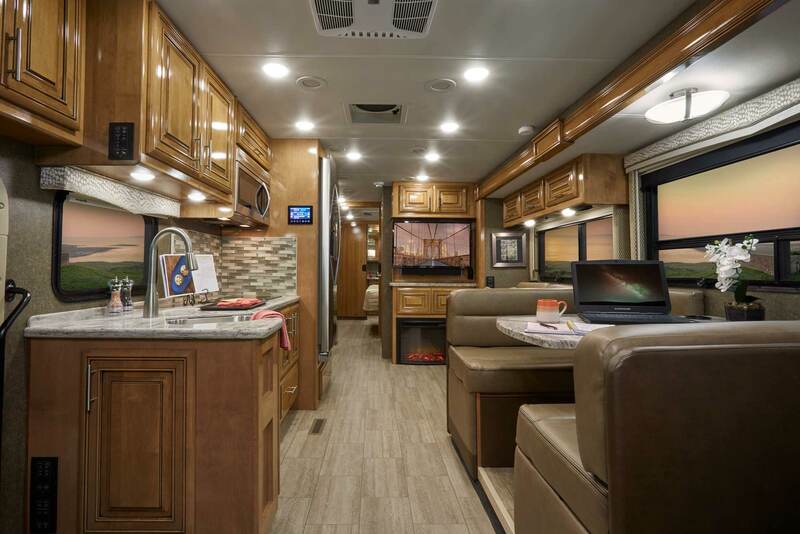 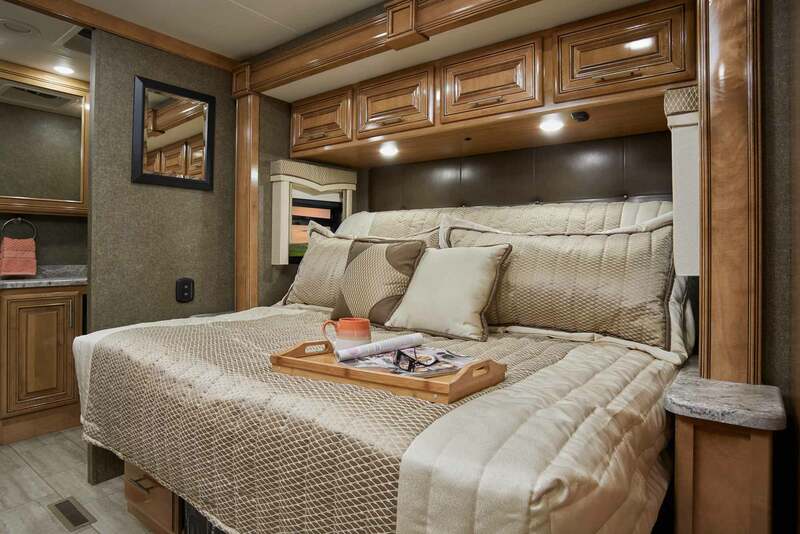 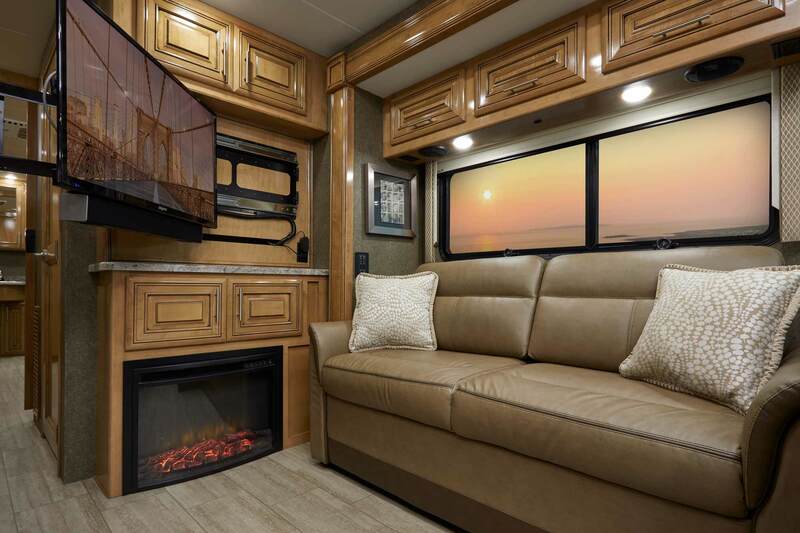 A motorhome with luxurious, creative designs and innovative floor plans. 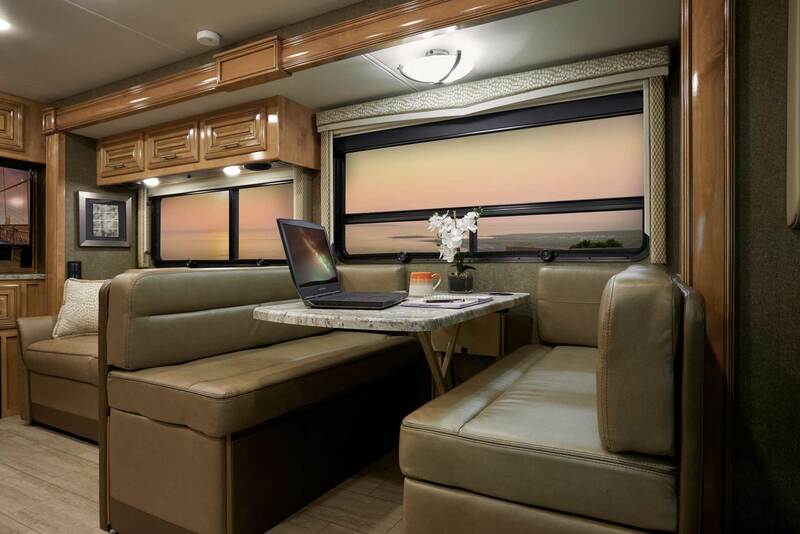 Whether full-timing for months or tailgating for the weekend, we have you covered. 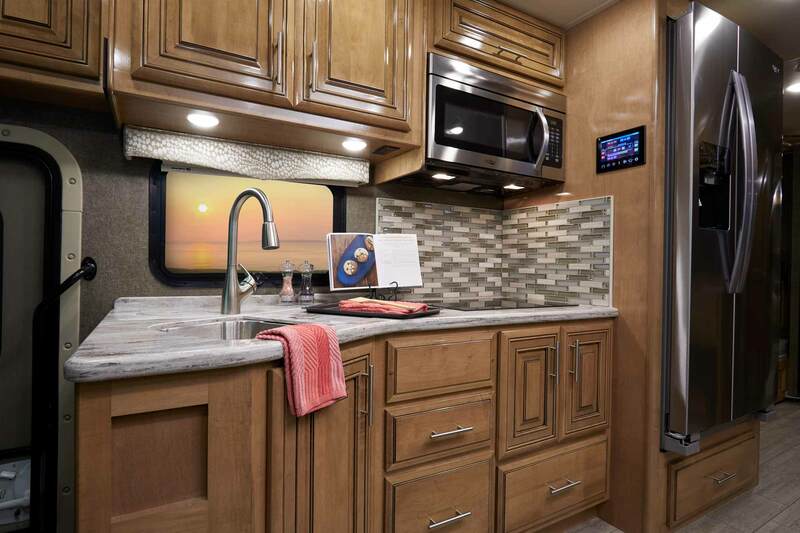 The induction cooktop brings RV cooking in the 21st century. 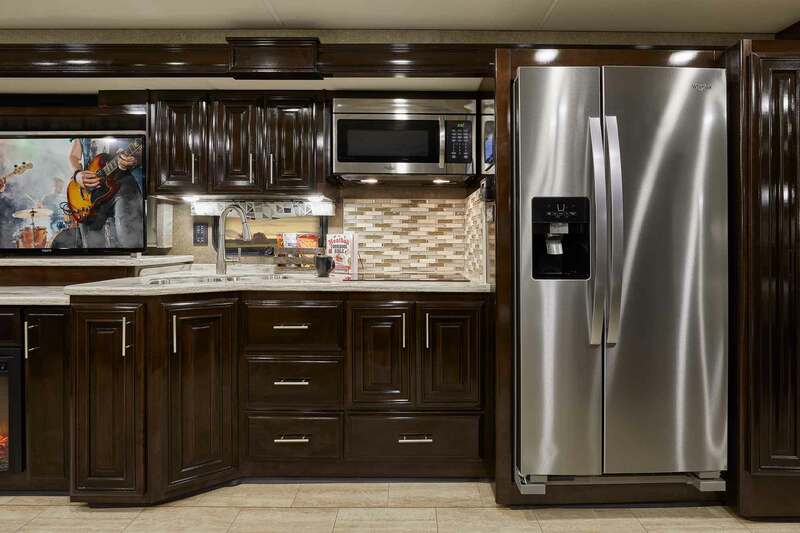 The burners on the cooktop don’t get hot making this kitchen more kid friendly. 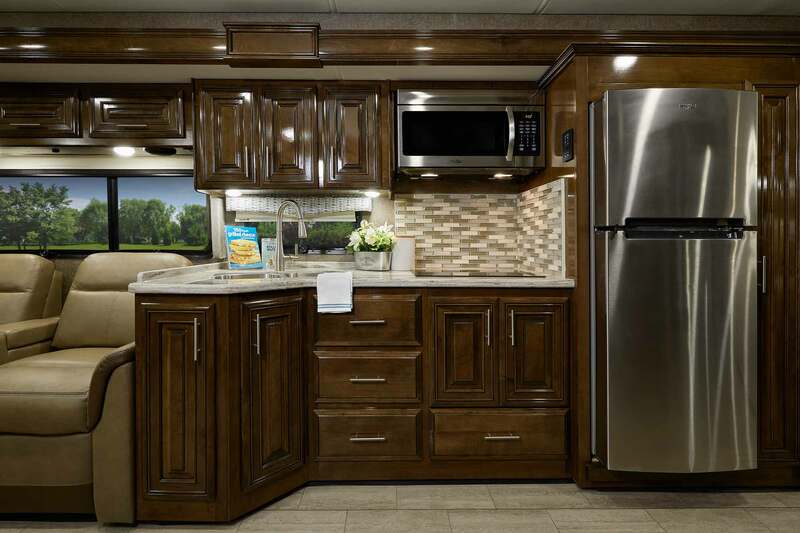 Multiplex wiring provides many advantages over traditional electrical wiring. 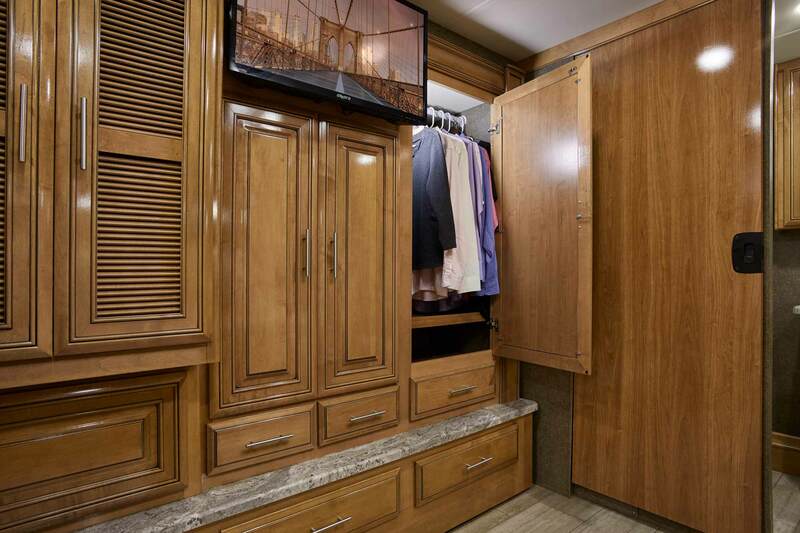 Remote switches are located in areas that are easy to see, not buried up under cabinets. 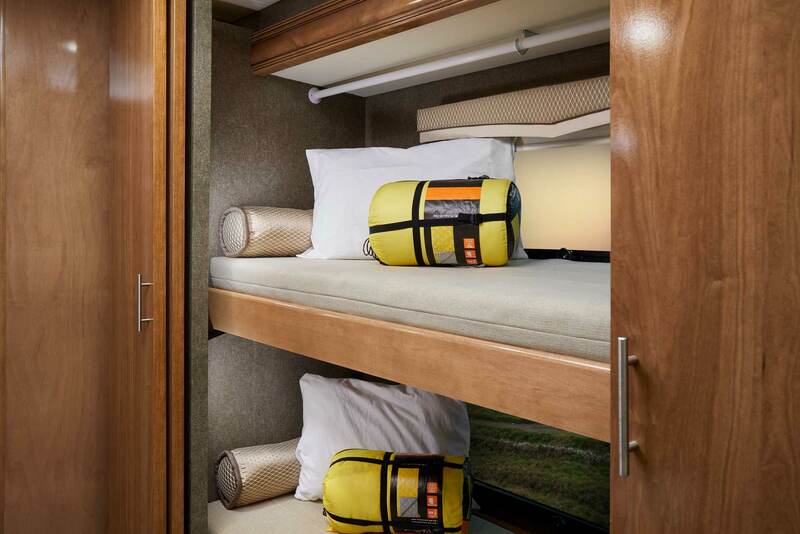 No more small spaces in the bedroom, as the Tilt-a-View bed allows for a wider walkway and more room to move.